By Light Unseen Media, 9781935303459, 338pp. New Barrington and West Sussex on California's Borrego Bay are bustling modern cities to nearly all their human inhabitants. But behind their daylight facade is a festering supernatural underworld ceaselessly struggling for control. 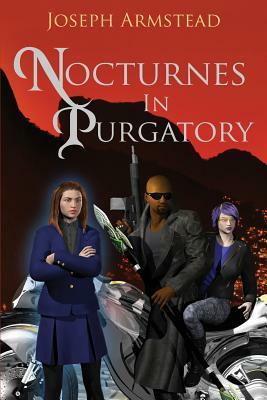 Metahuman warrior Montgomery Quinn, known as The Adversary, is the only force that can resist the evils threatening to overrun not just the Twin Cities, but all of the mortal world. An ancient artefact of power, The Sigil, has resurfaced, and the factions of Borrego Bay's night world are desperately competing to claim it. The Verrigotta Gather of vampires has rescued a local businessman's daughter, Brooke, from the kidnappers who tortured her to death and revived her as one of the undead. Brooke was investigating mysterious events in her area and learned too much about The Lost Sons of Purgatory, a cult of mass murderers who want The Sigil to bring their god into reality from another dimension. The government agencies responsible for the tenuous truce between humans and the beings called Ultrakin call on Quinn for help, along with a Bloodwitch named January Ulrich, or "Cold Janey." Together, Quinn and Janey track down the mystery of The Sigil, who wants it so badly and why. Reluctantly aiding them are Quinn's sometime-partners, Sam Carstairs and Ashton Brazil, and Patricia Silver, a professor whose love for Quinn led to her becoming one of the vengeful ghosts called Le Grymmeure. Meanwhile, Quinn himself is stalked by three members of his own ancient race, the Olympians, seeking retribution for a past crime of Quinn's. But they also have an interest in The Sigil. In a complex and tangled plot that evokes the best of H.P. Lovecraft and Robert Ludlum, Quinn and his allies--human and Ultrakin--follow the Sigil and its pursuers to a tense final showdown that holds some bitter revelations for The Adversary himself.